Windstar Cruises is proud to announce a new travel agency recognition program dubbed Club 180, a riff on Windstar’s tagline that sailing with the small ship company is truly “180 Degrees from Ordinary.” The multi-tier travel agency recognition program is designed to reward top-producing agencies with a top 10 Platinum distinction, a top 11-20 Gold award and a 21+ Silver category. Recognition is in the form of a number of amenities travel advisors can offer their clients (such as complimentary Wi-Fi and shipboard credit); additional marketing and sales support from Windstar (including advance notice on promotions and new product launches); priority service (such as a dedicated phone line); and benefits for travel advisors themselves when sailing on Windstar (including complimentary Wi-Fi and laundry service), with varying levels of benefits for the three tiers. Inaugural members for the new Club 180 program have already been selected based upon 2018 sales production; however, membership will be renewed annually, with an opportunity to add new members in December 2019. 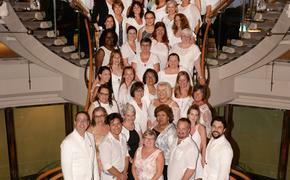 Windstar has been putting a renewed focus on its relationship with travel professionals and travel agencies in recent years, recognizing the power of the travel advisor and launching the Star Promise program in 2016 to help advisors increase sales and book more efficiently. Windstar’s Travel Advisor Hub, which grew out of that Star Promise program, has been an important resource for those advisors interested in expanding their Windstar business. Simao recommends that those interested in becoming a top agency with Windstar start with the line’s travel agent website for tips and training to become a top producer in Windstar’s new Club 180. For Wave Season, Windstar’s “Beyond Ordinary” Savings Event plus Star Perks bonus is on now and offers the best fares and availability of the year on 2019 and 2020 cruises. Fares start at $2,999 for all 11- and 12-day Alaskan Splendors cruises with nine departure dates May through August, featuring the second season of the award-winning Windstar’s Signature Expeditions program. Headlined by biologists, glaciologists, and scientists, the Expedition Leaders mix with guests onboard, give lectures and launch expedition field trips direct from the ship onto Zodiacs and kayaks. 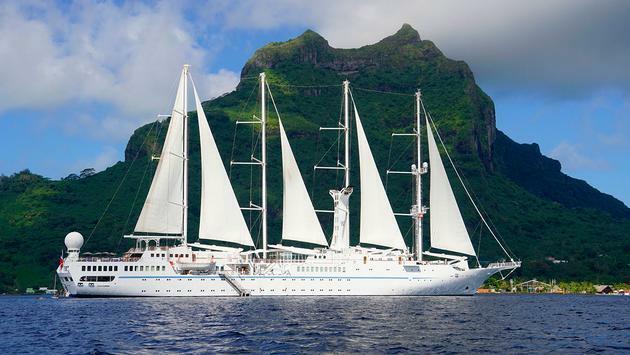 Windstar’s iconic 7-day Dreams of Tahiti vacation begins at $2,599 and visit six islands featuring a Bora Bora overnight with complimentary Destination Discovery cultural evening on a private motu, with traditional Polynesian performances headlined by the tantalizing fire dancers. Northern Europe is a top cruise pick for 2019 with more than 40 sailings April through September including an 8-day Gaelic Explorers voyage June 20 from Dublin to Edinburgh visiting Northern Ireland and the remote Isle of Man, Isle of Skye, and Isle of Lewis; wrapping up with a chance for cruise clients to spy the elusive “Nessie” in beautiful Loch Ness during a call to Invergordon, Scotland; also starts at $2,999 per person, double occupancy. In addition, guests may “pick their perk” — an attractive incentive to enjoy while the cruise is underway. Star Perks selections include up to $1,000 shipboard credit, free Wi-Fi, or free gratuities. Available on hundreds of Windstar sailings worldwide, “Beyond Ordinary” savings and Star Perks both vary by cruise and destination. In addition, longer Star Collector sailings of 14 days and more offer up to 20 percent savings and free laundry service. The promotion runs through March 18, 2019. To learn more about the new Club 180 and authentic small ship cruising with Windstar, contact the line by phone at 1-800-258-7245 and press #1 for travel advisor assistance; visithttps://advisorhub.windstarcruises.com or www.windstarcruises.com. SOURCE: Windstar Cruises press release.